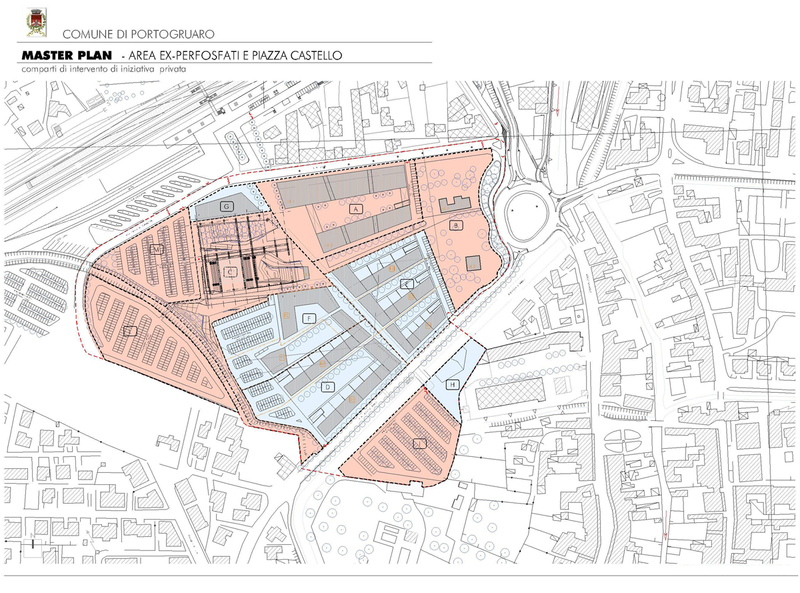 Masterplan modification aimed to recover the “former-Perfosfati” area and Castello square. 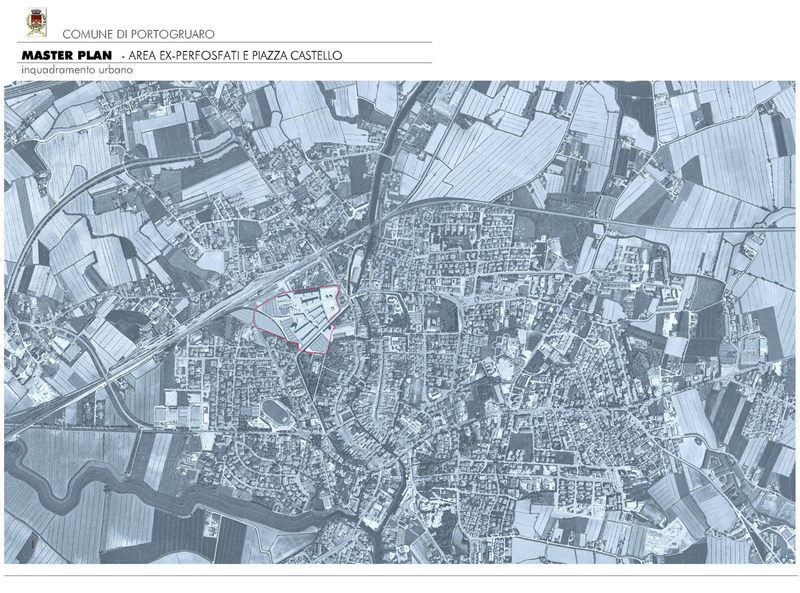 Integration with the nearby area of “Consorzio Agrario”. 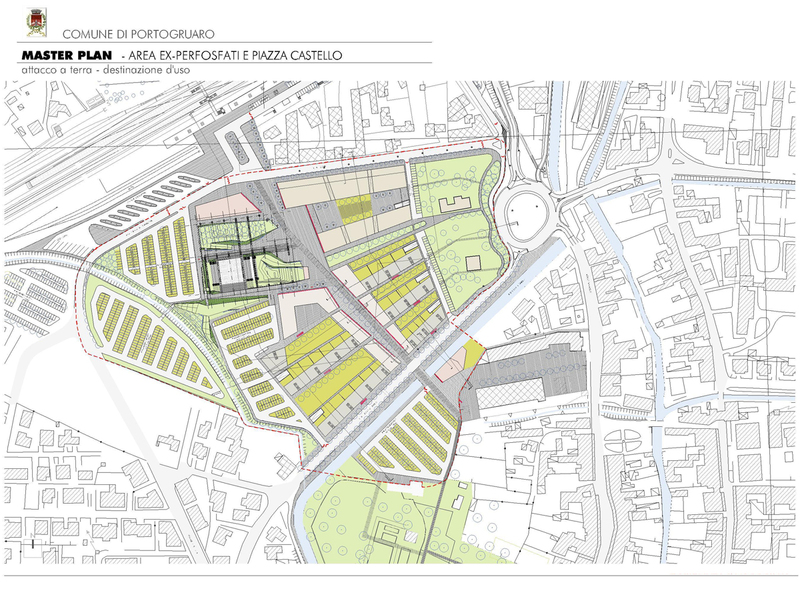 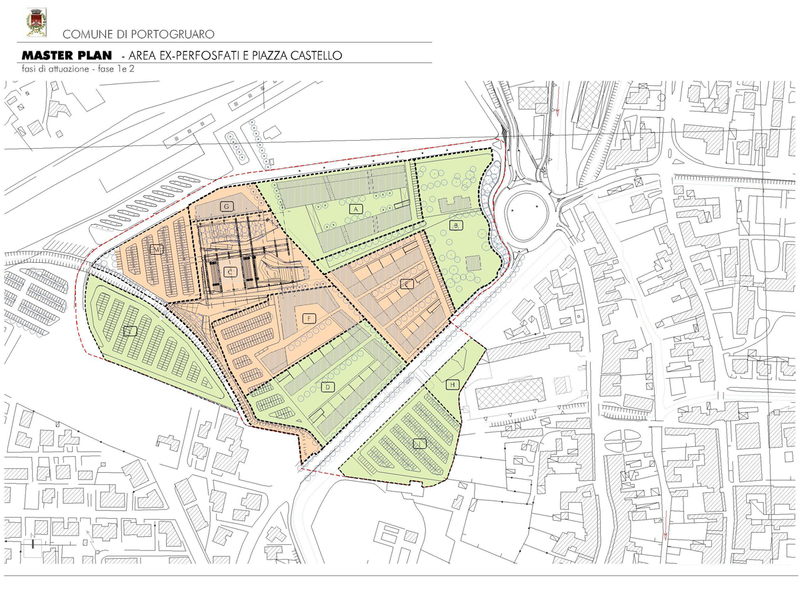 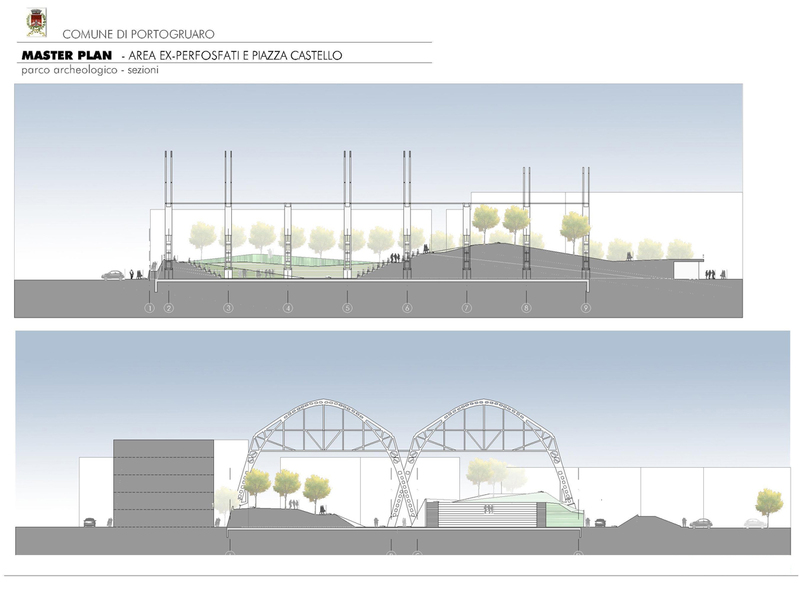 The master plan has as main objective the recovery of an ex-industrial area, corresponding to the ex-Perfosfati, the castello square and its surroundings. 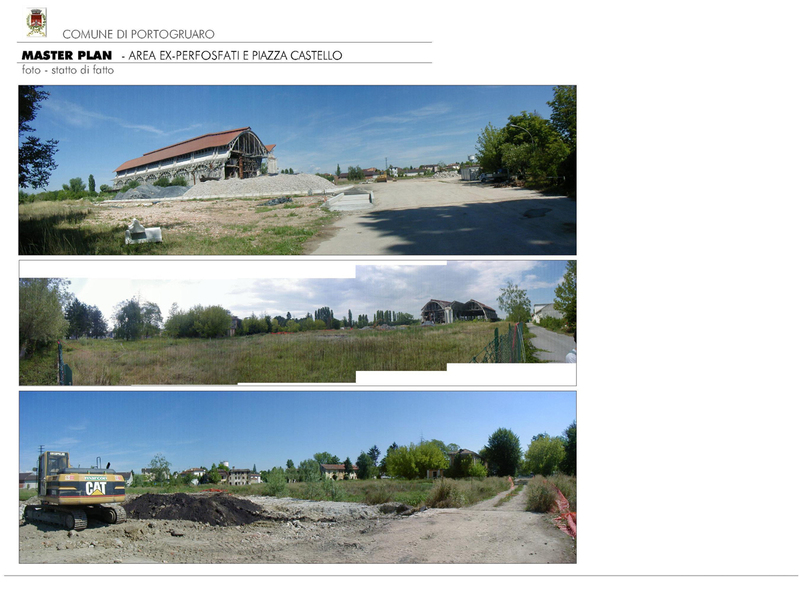 The project requalifies and valorizes the area transforming it into a central area with varied service offers. 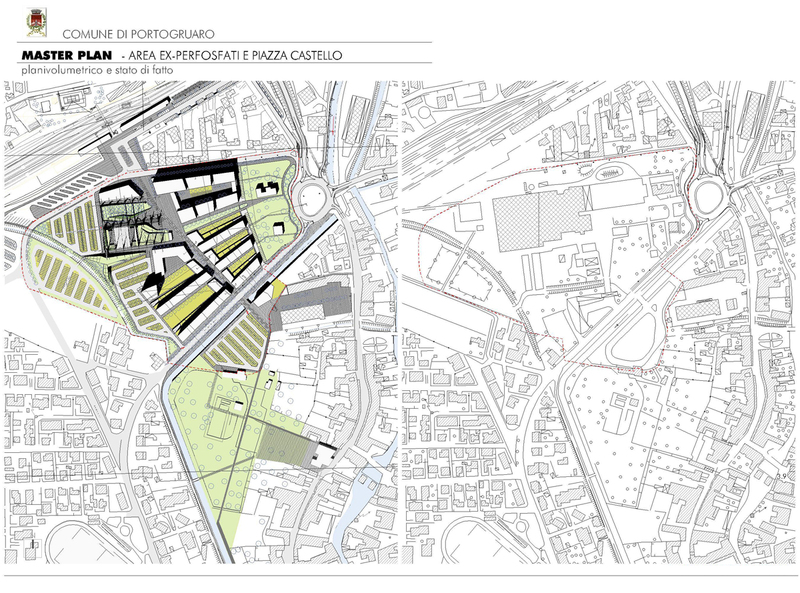 In adittion, the area is intended as a container of activities which can help revitalize the historical center. 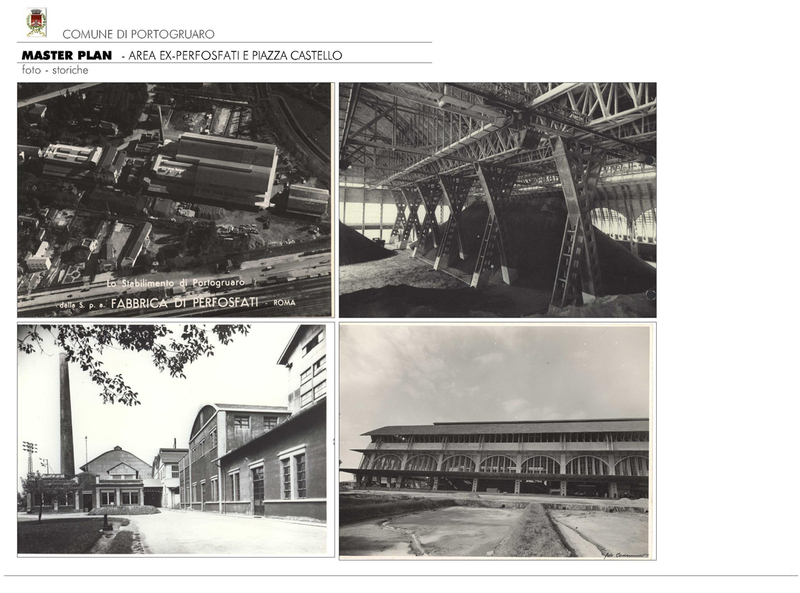 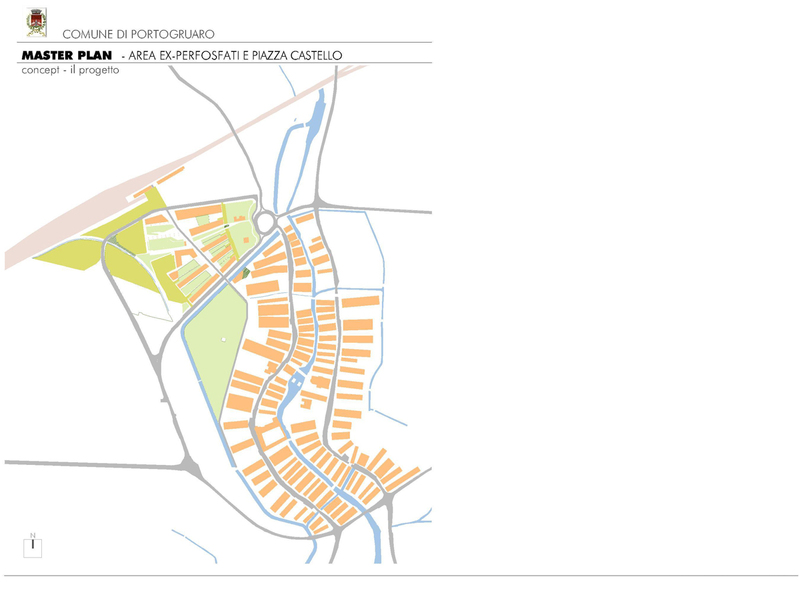 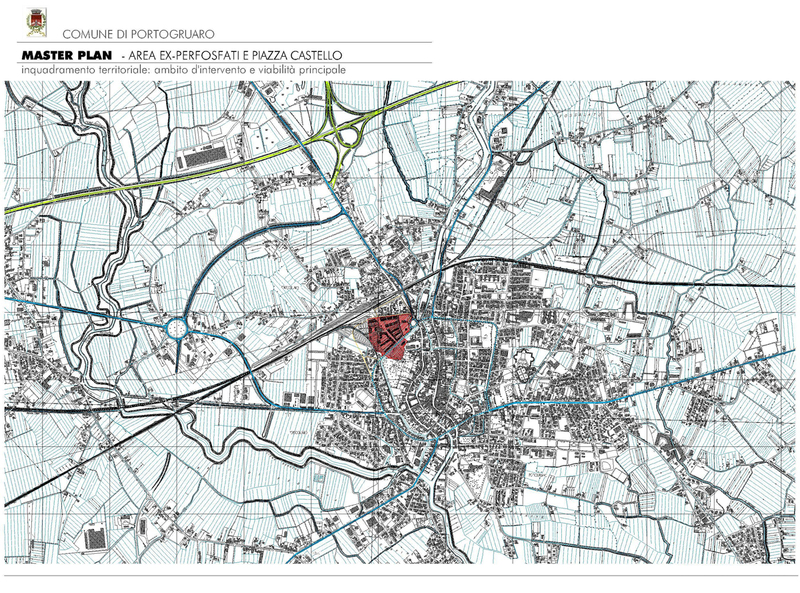 The masterplan idea originates from a deep reflection regarding typical settlement models at the historical center of Portogruaro. 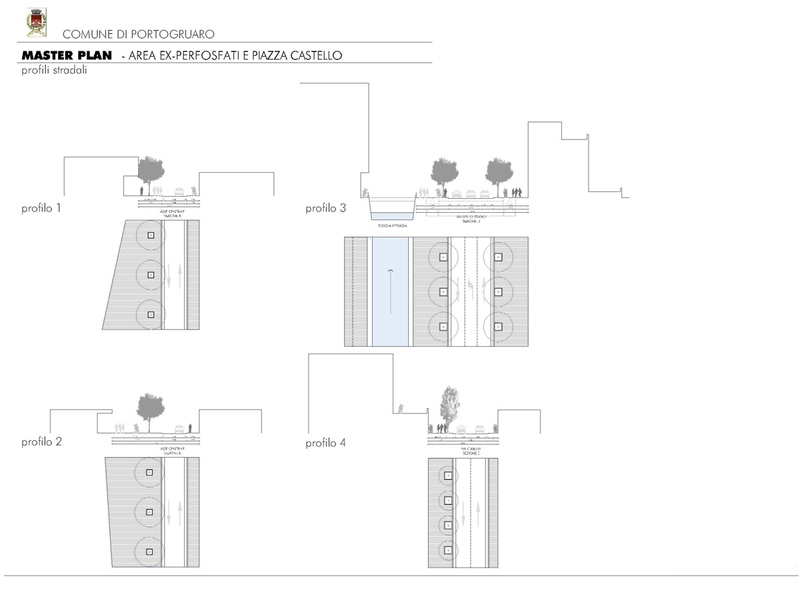 These are characterized by urban paths that imitate the undulatory movement of water as well as blocks capable of adapting to an irregular urban tissue. 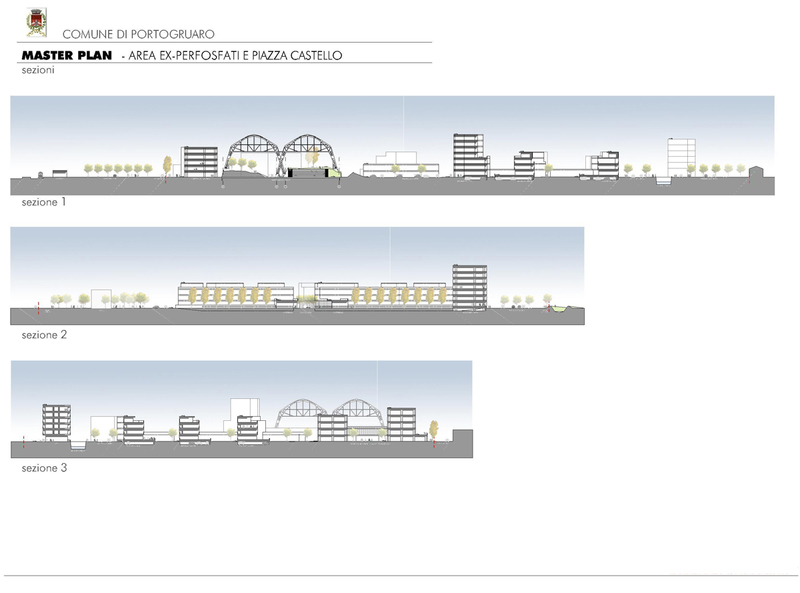 These characteristics were adapted as a reference, making a project in which continuous paths and urban landscapes integrate the pedestrian and cyclist as a protagonist of the urban space. 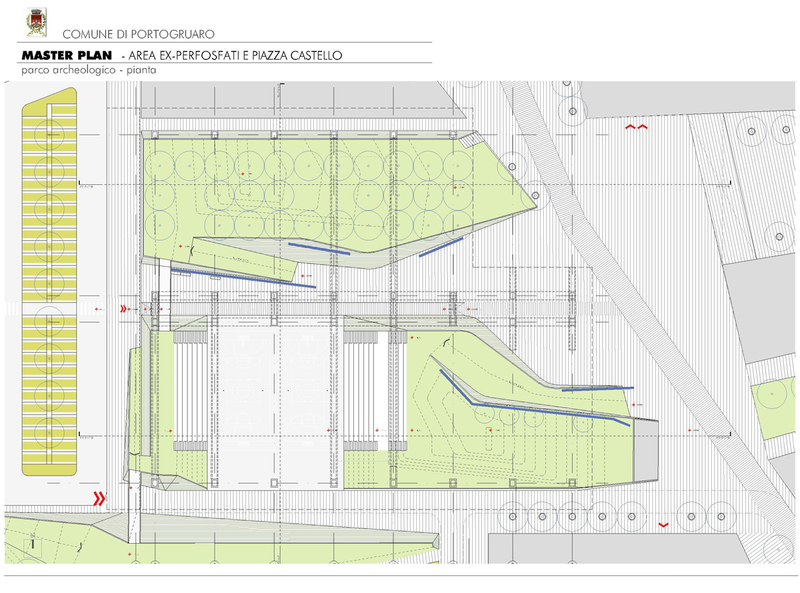 In addition, public space is used to configurate squares, parks, gardens, parking spaces, and urban equipments.